Last week, Disney released Spirited Away and The Cat Returns on Blu-ray, a pair of Studio Ghibli films that come highly recommended for fans of the legendary Japanese animation house. Enjoy! 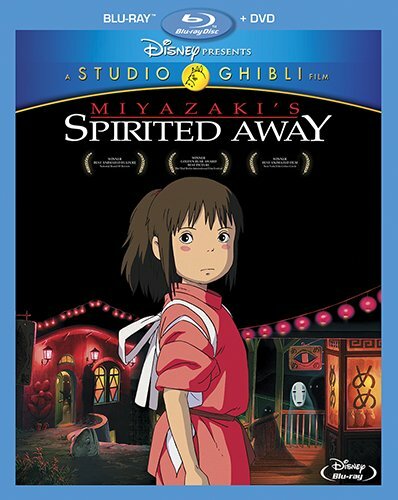 Spirited Away: Released in 2002, Spirited Away is the story of Chihiro (Daveigh Chase), a young girl who is moving to the Japanese countryside, when her parents undergo a mysterious transformation and she becomes lost in a strange world of spirits. Beloved by audiences and critics alike, and winning the Oscar for Best Animated Feature, Spirited Away not only remains one of Hayao Miyazaki’s finest achievements, but is also my personal favourite of Studio Ghibli’s many films. A beautifully animated and highly imaginative fantasy epic, that mixes engaging characters and moving themes with haunting and frequently breathtaking imagery, Spirited Away is simply a remarkable achievement, and this long awaited Blu-ray release is highly recommended. The Blu-ray includes an introduction by John Lasseter, as well as the original Japanese storyboards, a couple of featurettes, and trailers for the film. Spirited Away is 125 minutes and rated PG. 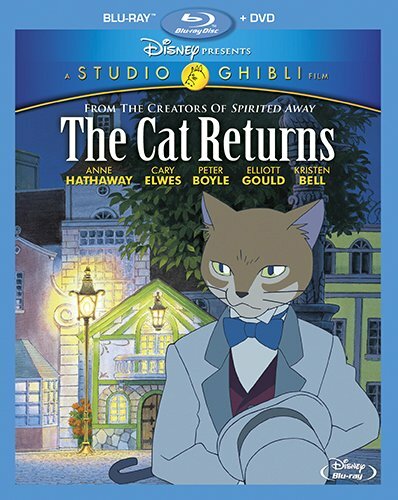 The Cat Returns: Released in 2003, The Cat Returns follows Haru (Anne Hathaway), a quiet school girl who rescues an unusual cat named Prince Lune (Andrew Bevis) from being hit by a truck, and finds herself taken to the Cat Kingdom, where the Cat King (Tim Curry) expects her to marry his son in return. Although one of the more simplistic films in Studio Ghibli’s library, especially in comparison to Spirited Away, The Cat Returns is still an entertaining and frequently amusing feline fantasy, with some wonderful imagery. Featuring plenty of nicely animated sequences, and enough delightfully designed characters to engage cat lovers of all ages, The Cat Returns has also never looked better than it does now on Blu-ray. The Blu-ray includes the original Japanese storyboards, as well as a couple of featurettes and trailers. The Cat Returns is 75 minutes and rated G.